ATX Television Festival has added a gaggle of new panels to its upcoming roster. VERONICA MARS—which just announced its July return—will panel with TBA “creatives and cast.” There will be also be a screening of INTO THE DARK installment “Culture Shock,” with a panel including director/co-writer Gigi Saul Guerrero and TBA cast. Additionally, Canadian comedy LETTERKENNY will panel with director/executive producer/cast member Jacob Tierney, executive producer Mark Montefiore, and cast members Nathan Dales, Michelle Mylett and K. Trevor Wilson are confirmed to join the Q&A. 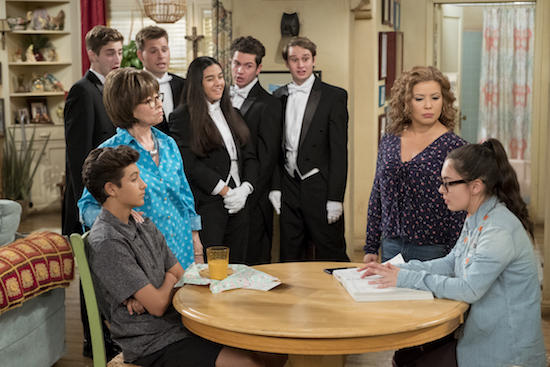 Recently-canceled ONE DAY AT A TIME—which is actively seeking a new home—will also host a panel/screening with executive producer Mike Royce and stars Justina Machado, Isabella Gomez, Todd Grinnell, and Stephen Tobolowsky confirmed to attend. The festival, which runs from June 6-9 in Austin, Texas, also includes panels for GREEK, VIDA, CITY ON A HILL, MEN IN TREES, GOOD TROUBLE, ATYPICAL, PERPETUAL GRACE, LTD, DARE ME, and more.